SERENE from Stack Audio is a game changing series of upgrades for Linn owners. Enhance the organic sound of your LP12, whatever the model, whatever the age. Designed, developed and manufactured in the UK, the result is SERENE. Exceptional upgrades for the LP12. Sub–Chassis. Arm Board. Top Plate. Base Board. Whichever upgrade you choose, the aim is the same. The removal of vibrations and colourations from the LP12. A lower noise floor means you hear more detail, more focus and a greater soundstage. Most importantly this means increased ability to follow the tune. Simply put, more musicality. The SERENE project is based on a fundamental understanding of the effects of vibration and acoustic resonance on sound quality. A combination of objective analysis using the latest software and subjective listening with independent experts is applied to every product from Stack Audio. Replay starts with the vibration of the stylus in the groove. Any vibration picked up other than from the groove and the stylus is distortion and this distortion masks detail in the musical signal. This is then amplified by the rest of system. The immediate dissipation of vibration is the primary objective of the SERENE project. We trialled many different materials throughout the SERENE project, but one stood out: Solid Surface. A composite of acrylic polymer, aluminium and minerals makes Solid Surface profoundly inert and stable. It resonates significantly less than metal or wood and is denser than acrylic alone. The SERENE Sub-Chassis, Arm Board and Base Board are all machined from Solid Surface by Stack Audio. 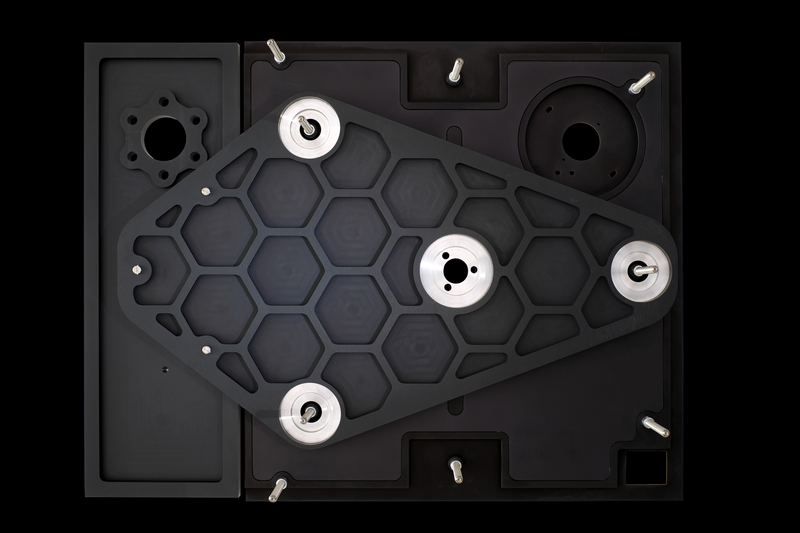 The Advanced Vibration Dissipation Composite is used in the SERENE Base Board, Top Plates and ULTIMATE feet for the Base Board. This advanced material acts as a laminate, trapping and dissipating vibration immediately. 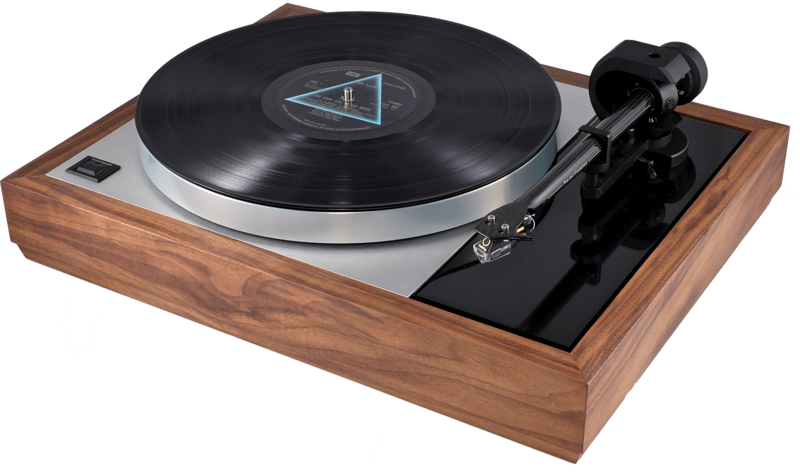 AVDC is a key part of the system of SERENE LP12 upgrades targeting all sources of vibration affecting the turntable. The SERENE LP12 upgrades are designed by us and manufactured in the UK sharing production facilities with products for aerospace, medical and military applications. Made from Solid Surface with threaded brass inserts, the underside of the SERENE Arm Board is hollowed out to ensure a perfect centre of gravity and minimal but secure contact with the sub-chassis. Removal of the vibrations at final point of contact with tonearm ensures the SERENE Arm Board lets your preferred arm reveal more detail and more focus. 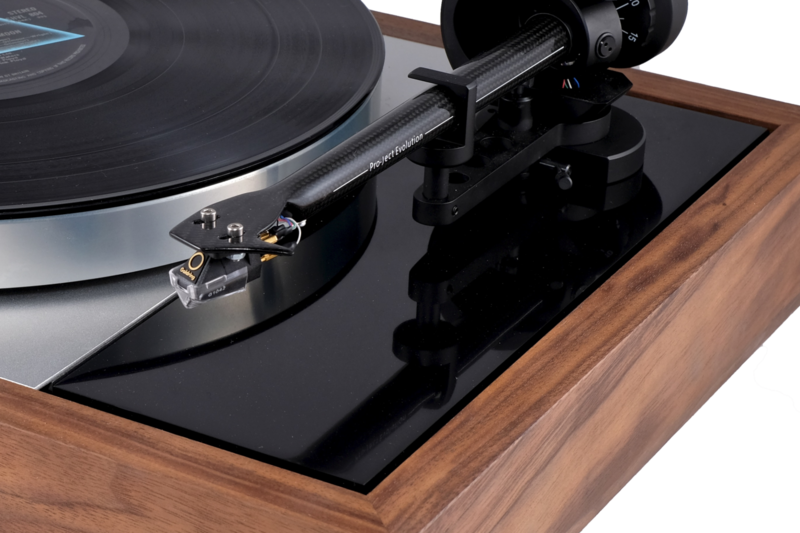 Reflecting their musical performance, SERENE LP12 Arm Boards are polished to a high gloss piano black finish. They are available in 6 standard fittings for Linn, Linn Ittok, Rega, Rega 3, SME. The top plate is the most interconnected part of the LP12 and is subject to both internal and external vibrations. 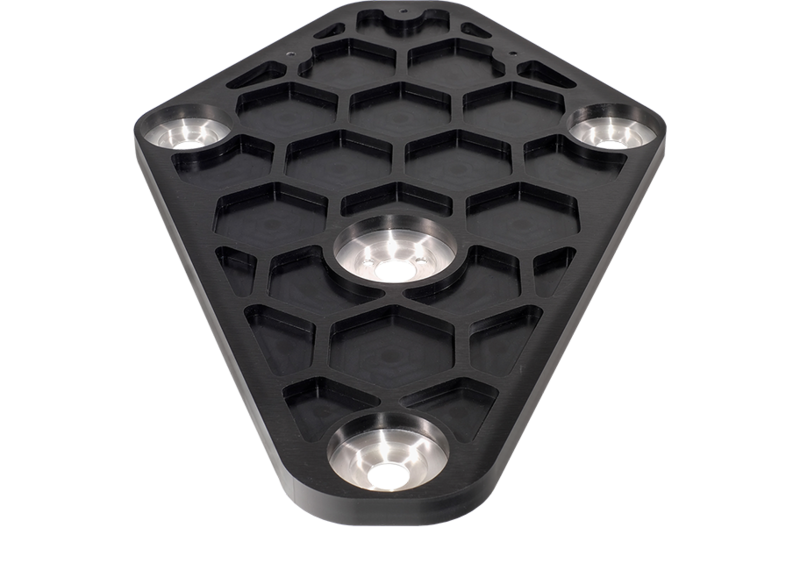 Like all the SERENE upgrades, the Stack Audio top plates are designed to be rigid and stable and dissipate vibration. There are two levels of top plate to choose from, SERENE and ULTIMATE. Both feature a sandwich construction incorporating a layer of AVDC and are precision cut to fit flush to the plinth. For the Serene Base Boards Stack Audio has focussed on combining sonic improvements with making it simple to keep your LP12 set up to sound its best. Vibration dissipation is core to both base boards along with adjustable feet and easy access to adjust the sub-chassis springs. Both sit flush with all plinths and are compatible with all internal power supplies and DC motor positions.​ There are two versions to chose from: SERENE and ULTIMATE. The all new SERENE Base Board is constructed from 2 layers of precision cut aluminium, joined together with a layer AVDC for effective vibration dissipation. It comes with 3 height adjustable aluminium and Sorbothane feet. 90 day money back guarantee.Click here to find out more. 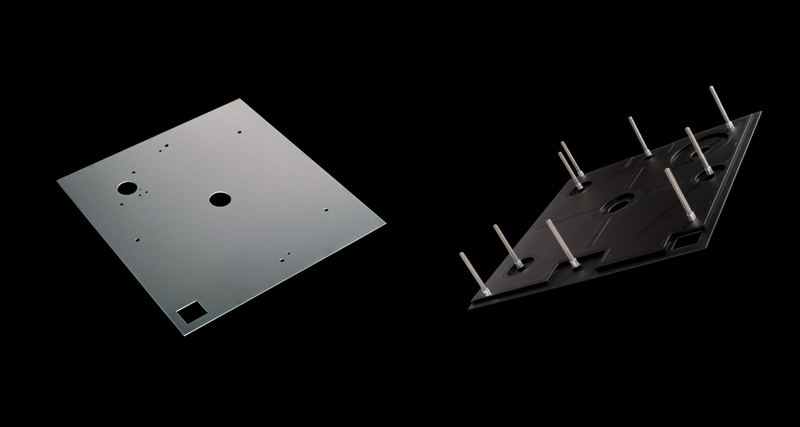 Structure Set: The SERENE Top Plates, Base Board stiffen up the rigidity of the plinth, dissipating vibration from external and internal sources. Full Set: All 4 components of the full set of SERENE upgrades combine to provide the highest level of improvement. 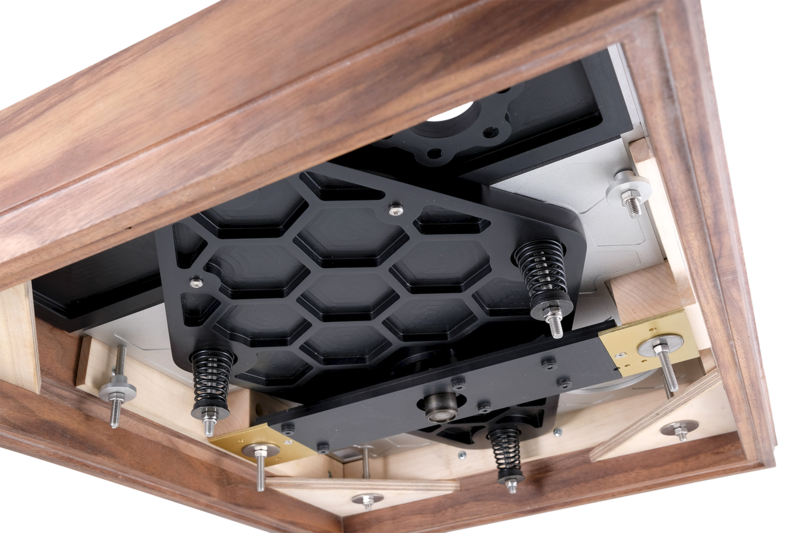 The maximum removal of vibrations and colourations within the LP12. The lowest possible noise floor that means you hear more detail, more focus and a greater soundstage. The whole really is greater than the sum of the parts. Simply put, more musicality.